Duane Hunt, 58, started serving as a pastor during college at the age of 20 and has been a pastor with the Missionary Church Inc. (Fort Wayne, Indiana) for 36 plus years. A native of greater Detroit, Michigan, Duane received his ministry training at Fort Wayne Bible College, which eventually became a branch campus of Taylor University. 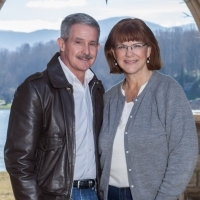 Duane and his wife, Peggy, were wed during college and have been married for 40 years. They are the proud parents of 5 grown children and 15 amazing grandchildren. Peggy is a third grade teacher at Winter Haven’s Chain of Lakes Elementary School. After receiving his Bachelor’s Degree, Duane pastored his first church in Bedford, Iowa. The family moved to Polk County, Florida in July 1986, where Duane & Peggy have resided first in Auburndale and now in Winter Haven for the past 31 plus years. In 1994 he was blessed to serve as the church planter for Crossroads Community Church in Auburndale. Moving to southeast Winter Haven late in 1999, he has been serving as the church planter and lead pastor for CenterPoint Church ever since. Duane has a calling and a passion to serve Jesus Christ by making and developing Christ followers and by teaching God’s Holy Word, the Bible. He loves people and the community and has served in various capacities, including Missionary Church Florida District Leadership Team, Missionary Church General Oversight Council, Greater Winter Haven Chamber of Commerce Board of Directors, Foundation Board, and Ambassadors, Chain of Lakes Elementary School Advisory Council, and Ruby Lake Homeowners Association Board of Directors, among other service involvements. He is an alumnus of Leadership Winter Haven Class XXIII. Duane loves spending time with his family, along with other interests and hobbies. He is an avid fan of the Michigan Wolverines, a lover of music (especially contemporary Christian music, the Beatles, 60s music, classic rock, and modern country), and is always ready to travel. He and Peggy have been to all 50 states, and raised their family hiking and camping in the U.S. National Parks. On the road, it’s tough to find him without a camera. The couple has been blessed to visit the Holy Land in February 2016 and Italy and Greece in 2017. Both experiences were inspiring and life-changing, making the history of the Bible 3D.